Stenbrudssøen is beautifully located in a former sandstone quarry. 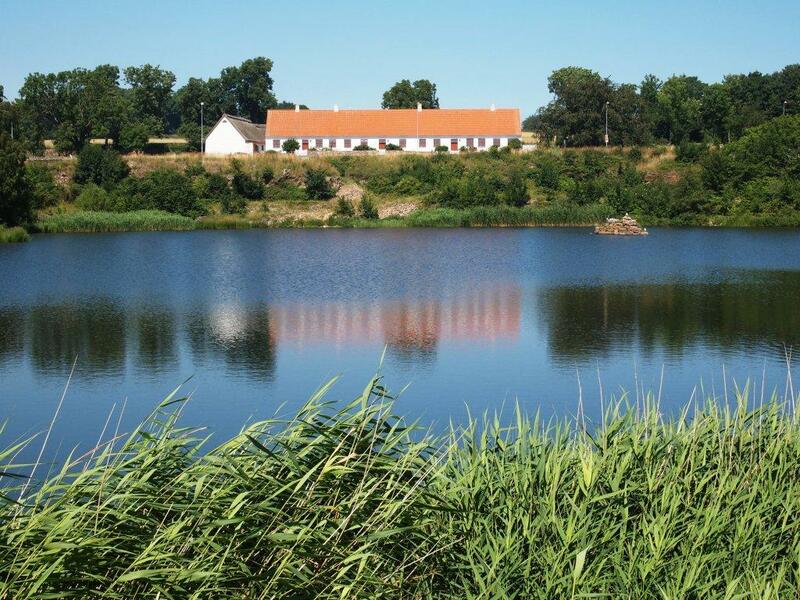 The lake is located near the Baltic Sea. It is therefore a saltwater lake. It is situated by Nexo Family Camping. Stenbrudssøen is a Put & Take lake with salt water. It has a water surface of 23,000 squaremeters. Max depth is 18 meters. Fish: Trout, salmon, walleye, perch, roach, crucian carp, tench and eels. Opening hours: All day year round.